Factory Cat commercial and industrial floor cleaning equipment are proudly made in the good 'ol US of A! Founded in Wisconsin in 1986, Factory Cat manufactures battery-powered floor scrubbers, sweepers and sweeper/scrubber combination machines. With over 300 dealer locations, Factory Cat are sold in 35 countries across the globe. HGM and Factory Cat go hand in hand! We are a leader in providing quality, Factory Cat sweeper and scrubber replacement parts and aftermarket accessories at a great price! All of our products are non-OEM, which passes on great savings to you, yet we stand firmly behind our large inventory of quality parts and accessories. Take a look at our online catalog of Factory Cat parts, request a free quote, or give us a call if you need help finding the right replacement part or accessory for your Factory Cat industrial floor cleaning equipment. Our inventory of Factory Cat replacement parts and accessories is online on our website and easily searchable using our Advanced Part Number Search! If you're still having difficulty, give us a call and we'll be happy to find the exact replacement part or aftermarket accessory for your Factory Cat sweeper, scrubber or sweeper/scrubber. If you can't seem to find the parts you're looking for, please take a moment to complete our Factory Cat Price Quote Request Form. We'll get back to you quickly with information about which parts and accessories are the perfect match for your Factory Cat model and needs. And of course, we'll give you a great price quote to boot! At HGM, we have a large stock of Factory Cat aftermarket accessories and replacement parts. Our parts are manufactured to high-quality standards, yet are significantly less expensive them OEM parts. Take us for a test drive today! We want to be your Discount Factory Cat Sweeper and Scrubber Parts supplier. Searching for a replacement part or accessory for your Factory Cat sweeper or scrubber? Chances are we've got it in stock! You can search our extensive inventory of parts on our website, or give us a call if you need a helping hand. 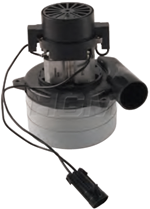 We carry a large assortment of replacement parts and accessories for Factory Cat, as well as most other major brands of commercial and industrial floor cleaning equipment and vehicles. But that's not all! We also stock replacement parts and aftermarket parts for all of the leading manufacturers of forklifts and lift trucks. For fast service, take a moment to complete our Quote Request Form for competitive pricing on any Factory Cat replacement parts. We simply ask for a little background information on the type of Factory Cat sweeper or scrubber that you own, and what kind of part or accessory you need and we'll respond quickly with a competitive price quote. We carry parts, accessories and attachments for the following Factory Cat models. Browse our entire inventory of Factory Cat floor cleaning equipment parts online, or use our Advanced Part Number Search to find just the right Factory Cat part you're looking for. Request a Quote using our Request Form for ANY Factory Cat piece of equipment or vehicle... CLICK HERE!